On the crash report, an officer can note what kind of entity owns or operates a vehicle that was involved in your crash. This is known as the “vehicle class” and simply classifies whether it was owned by an individual, a company, a government agency, etc. This type of notation is important for your car accident case because it may indicate that the driver may not be the only party who should be included in your lawsuit. 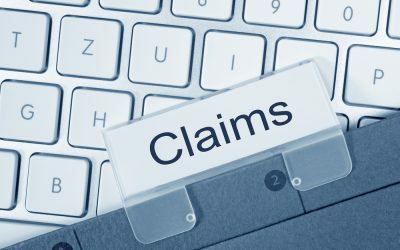 In general, any person or entity that owns the vehicle should be involved in your claim. Their insurance will often cover the driver, especially if that person is an entity’s employee or was authorized to use someone else’s car. There are a few exceptions to this general rule, but having this information will at least allow you to investigate further. The most common type of vehicle is a privately owned car. Not only are there more privately owned cars on the road, but the qualifications to get private licenses are much lower than other vehicles. That means that there are more private driver’s licenses than any other type of license. That is why most codes in this section will simply say “1” to mark that this car or truck is owned by an individual. The type of vehicle is not relevant—such as whether it is a car, truck, or SUV—only who owns the vehicle will be necessary for this section of the Georgia motor vehicle crash report. If the police own and operate one of the cars involved in the crash, it will be noted here. Squad cars are the most common vehicle involved in accidents in Georgia. If the fire department owns the vehicle, that will be noted here. These include both fire trucks and any another vehicle that the fire department may own. School buses are the most common vehicles involved in these kinds of collisions, but these cars could also be simply owned by the school as well, including smaller vehicles to transport students and administrative vehicles. Other government-owned. Any time the government owns a vehicle, it should be noted. This includes both the federal and state government. These are often administrative vehicles, but not always. It is rare that military vehicles are noted on an accident report, but it does occasionally occur. Commercial motor vehicle (CMV). A commercial motor vehicle is usually a semi-truck or another large commercial vehicle. But, the CMV designation also covers any type of vehicle that is owned by a business, including work trucks going to and from job sites, for example. Non-transport emergency services vehicles/HERO. These vehicles are owned and operated by the Department of Transportation. They help clear accidents and assist motorists who are stranded to get help or get back on the road. Although they initially only operated in Atlanta, they now function state-wide. Passenger Service Vehicle. The overlay specifically indicates that this code is for taxis. But, it could include ride-sharing vehicles like Uber and Lyft as well. John Foy & Associates can help you investigate who should be involved in your lawsuit and your potential rights regarding your car accident case. Fill out the form to your right or call us at (404)-400-4000 to get your FREE consultation today.